Before she hit the stage, Sabrina Carpenter posed on the red carpet on Friday(December 7th) at the 2018 Z100 Jingle Ball at Madison Square Garden in New York City. 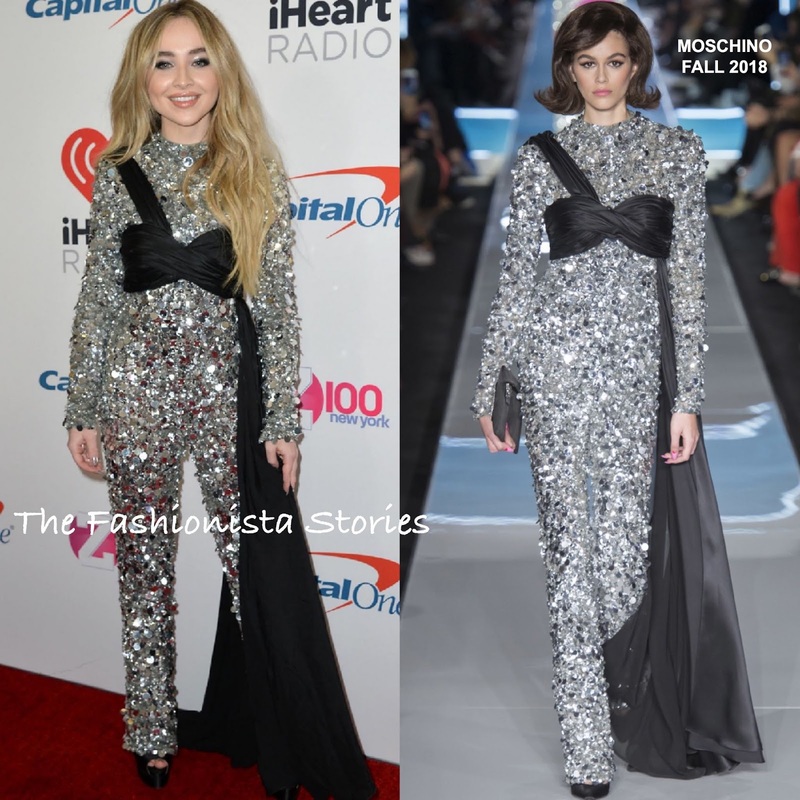 If Sabrina wanted to sparkle during her performance, she did just that wearing this MOSCHINO FALL 2018 silver pailliettes & sequin embellished jumpsuit, featuring a contrasting black, one-shoulder twisted bustier, with a draped side panel. As a performance piece, this works but I am not crazy about it on Sabrina. Sabrina's shoe of her choice, seems to be the BRIAN ATWOOD 'Tribeca' platform sandals which she has worn with most of her recent looks. She finished up with center part waves and smokey eyes.